How Medical Augmented Reality Can Revolutionize Your Daily Lives? Augmented reality (AR) is the most talked about topics these days and one field that has been largely affected by Augmented Reality is Healthcare. Let’s first start with a simple scenario. We all are scared of those painful injections when we visit our doctor and the biggest pain is when the nurse is not able to find our vein and she pokes at different places based on a rough hunch in order to insert the IV. Elderly people are the worst sufferers in this case. But the good news is that you may not have to go through the painful exercise if your hospital is equipped with the latest technology. You would witness your nurse wearing a special pair of glasses which helps her with a perfect highlighted image of your veins and hence locate your vein within seconds. Well, to many people this would sound awkward, but it is just one example of a brilliant technology known as Augmented Reality or AR as it is commonly known. AR is no less than a boon for the medical practitioners as well as to the patients. The biggest beneficiary of AR revolution would be medical industry. Healthcare industry has witnessed a massive technology boon in recent days and many companies are striving hard to build new devices and applications for healthcare providers and day to day users. AR technology has great life-saving potential for the medical industry. To date, AR is mostly known as glasses and screens that present a new way of seeing things. 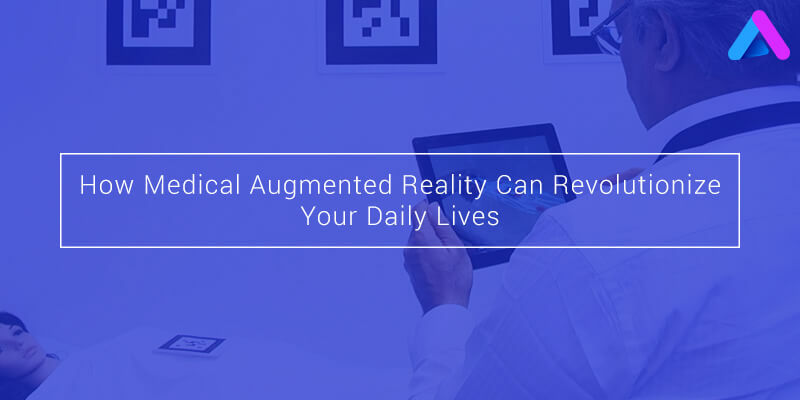 However, there is an another aspect of Augmented Reality that would play a crucial role in the future especially in the healthcare industry. AR technology has the unique ability to instantly display the relevant information to people who need it most. Achieving new milestones with AR. AR’s full potential could not be exploited because several barriers like internet or Wi-Fi connectivity and battery life. Wearable technology too has played a great role in giving a boost to the medical industry as many technology startups have created devices that could sense your heart rate and blood oxygen levels. Wearable technology and AR has even helped medical students to understand the things in a more precise way. 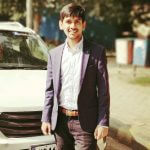 For example, a medical institute recently conducted a live session for a class of approximately 100 students, which demonstrated a live abdominal surgery going on somewhere in other part of the city. Practical knowledge is the backbone of any study and with the help of AR and wearable technology, students can now even get lessons from industry veterans located at a distant place. Information delivered at the right time to save lives. AR provides relevant information to the doctors which is of utmost importance to them when they are dealing with life and death situations. AR has a huge potential to bring innovation in industry by presenting the info as and when required by the doctors. AR can be used to unlock the huge potential for a revolution in healthcare industry and I must say that it is a real boon for humankind. Do you want to build an Augmented Reality App? No worries!!!! Appinventiv Technologies is the most sought after mobile app development company in India providing top grade iPhone and Android application development services across the globe. Appinventiv has been ranked No. 1 in Appfutura which is the most revered community for app developers. It has a team of top-notch augmented reality developers who have a great expertise in AR development.